"Red Dot Award: Product Design 2017"
Yamaha has entered its products in this Red Dot Award competition since 1997, and the awards received this year were its 19th. In addition, the "Best of the Best" award this year for REVSTAR was the third top prize for Yamaha, following an award in 1997 for its Silent Brass systems SB-7 and another for its Silent Cello SVC-200 in 2000. 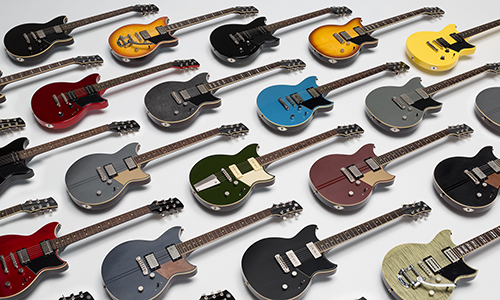 REVSTAR is a new series of Yamaha electric guitars that draws inspiration from custom-made motorcycles, Japanese craftsmanship, and cultural heritage. The guitars, equipped with a range of custom-wound pickups and a unique Dry Switch, produce a powerful yet refined sound responding to the musical expression of individual players. Guitarists can choose from a diverse lineup of distinctive colors and finishes to match their original style. Ground-up body design together with a new neck joint offers refreshingly good playability and a high level of durability. 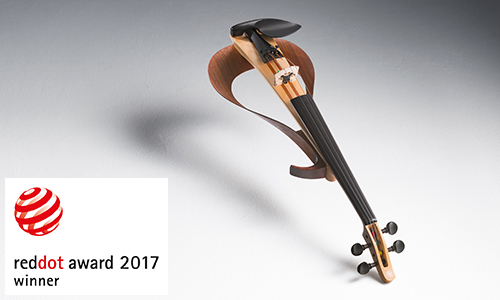 The Electric Violin YEV Series combines superb playability on concert stages with a design that is beautiful from every angle point. Based on Yamaha's superlative woodworking technology, the design successfully draws on the beautiful appearance of the wooden surfaces to realize a 3D arched body and mobius frame. 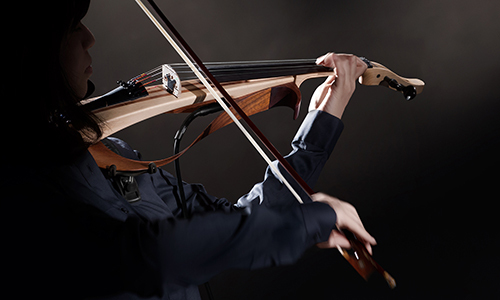 The lightweight design, natural touch, and graceful curves allow players who are accustomed to playing acoustic violins to switch effortlessly to the YEV. This is clearly a next-generation violin that makes free expression in any musical genre possible at any time. The Red Dot Design Award (http://en.red-dot.org/) is one of the most highly respected design awards in the world, and comprises three categories: Product Design, Communication Design, and Design Concept. Each year, top-quality designs from around the world are selected for these awards. This time, about 5,500 items were submitted from 54 countries and regions around the world, and 102 items were selected for the "Best of the Best" awards. 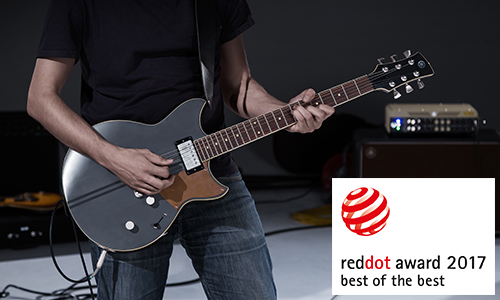 Yamaha's REVSTAR Electric Guitars Wins Top Prize in International "Red Dot Awards: Product Design 2017"